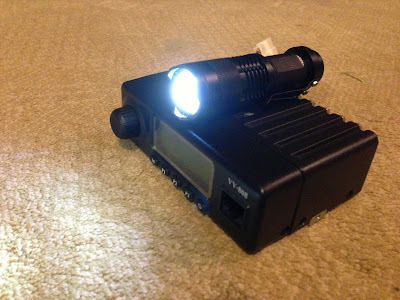 John (K3NXU) made a funny in my original post about the Leixen VV-898 Dual Band Mobile. He wanted to know if it would have flashlight (like all the Chinese HTs.) I am probably violating my NDA, but I have this super secret picture of a VV-898 prototype. As you can see, it does have a flashlight!